Samsung's new flagship smartphones, the Galaxy S8 and S8+ are already available in the United States for quite a while now. However, the handsets had been lacking a few features since their release, such as Android Pay and the full Bixby experience. The good news is T-Mobile and Verizon are already taking care of these downsides as we speak. A new update is now available for the Galaxy S8 and S8+ at both carriers. The update adds Android Pay support so that Galaxy S8 and S8+ owners can use their smartphones for easy, fast and secure payments. 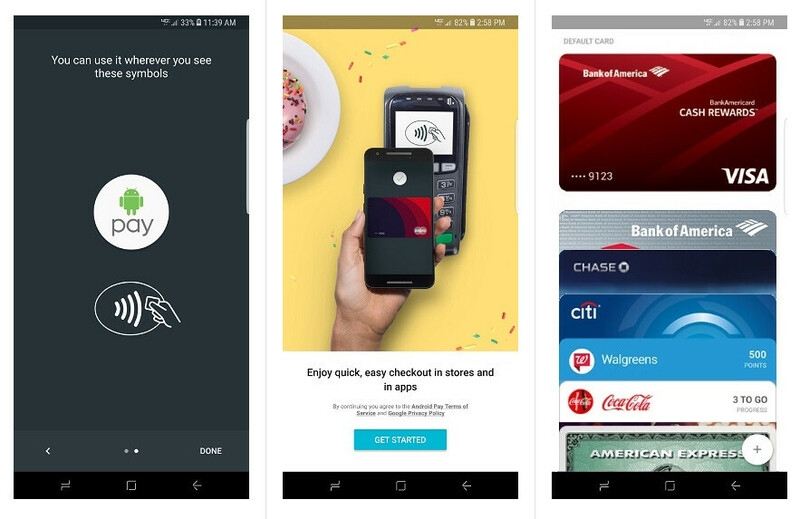 The payments service allows users to add their credit, debit, loyalty, and gift cards to Android Pay, and shop in store, in apps, and online. Besides Android Pay support, Samsung included some Bixby enhancements in the update. For example, you'll now have easier access to Bixby intelligence features (Vision and Reminder) by tapping the icons at the top right of the device screen. Also, Bixby will not group together all your personal Bixby experiences to a single Samsung account ID, so make sure to accept the new terms and conditions. It's worth noting that Verizon is pushing a couple of bug fixes of its own, which should address an issue that caused Samsung Notes to crash. Moreover, the update should prevent unintended Bluetooth disconnections with a companion Gear S3 smartwatch. The Visual Voicemail app has been updated to ensure normal playback when the device is moved closer to the ear. Some under the hood improvements to Wi-Fi calling have been implemented too. Android Pay? Yuck. Unfortunately, Apple Pay isn't much better. Samsung Pay is the clear winner by virtue of MST allowing use almost anywhere, plus the rewards points are a sweet incentive to use Samsung Pay. Android Pay has been available on the S8 line since the beginning. I even have it on my S7! phonearena s8 won consumer reports top rated phone again. I saw a few times people pay with Samsung Pay at local Asian supermarket. I admitted it look so cool. I bet Android pay or Apple pay are not supported at these stores. I'm planning to buy my first Samsung phone this year Note 8 or A9 2017. Odd. Both Samsung Pay and Android Pay have been available on my T-mobile S8 since day one and I don't see any update right now (there was one last week).